Bollywood’d dream girl and actor turned politician, Hema Malini met with an accident in Jaipur Rajasthan. 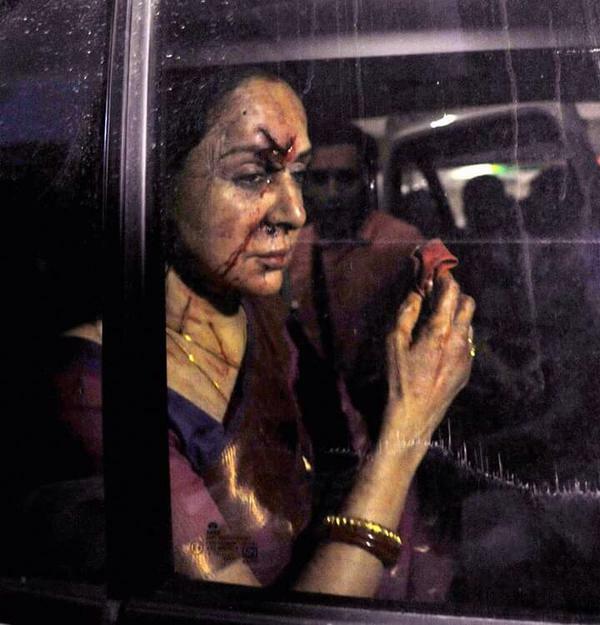 As per sources, Hema Malini’s Mercedes and a Maruti Alto in Rajasthan today banged around 9 pm today. 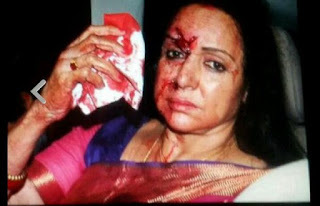 She is reportedly admitted in Fortis Hospital. All Bollywood fans are now searching for this News about what the reason, and when Hema malini met with car Accident in Rajasthan see real photos of Car incident this news is now all over on Tv News channels with Videos Images wallpapers real As per sources, her car banged with a car coming from the opposite direction while she was with one more lady. 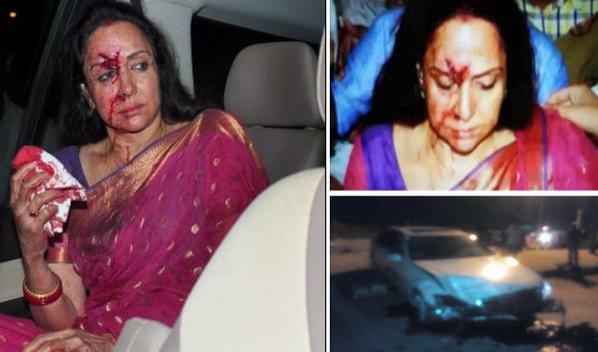 “The accident occurred on national highway 11 near Dausa Midway at around 9 pm when the car in which Hema Malini was travelling collided with another car. 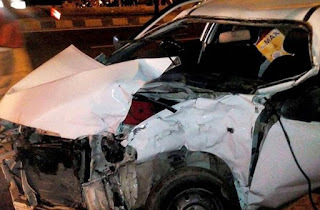 One five-year old was killed who was in the other car. 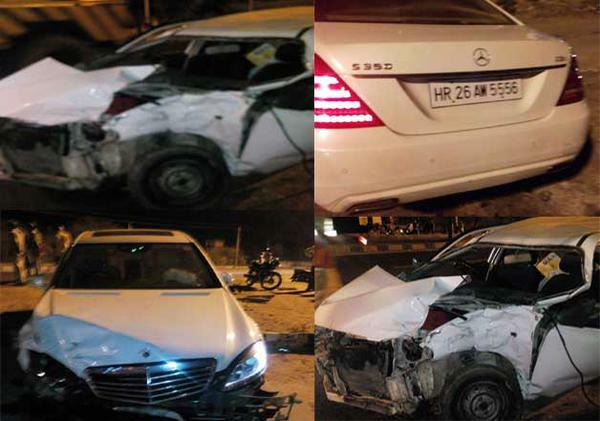 Four others who were injured in the accident have been admitted in Dausa hospital,” a police official told IANS on phone. 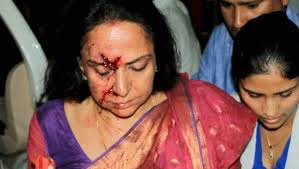 Hema Malini is however not seriously hurt but what has shocked one and all is the death of a four year old child. 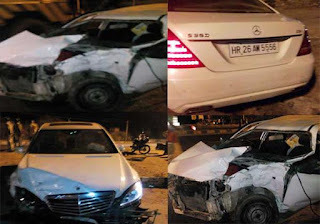 The four-year-old who was killed was travelling with four relatives including her parents and another young child who have been hospitalised.